To get the most out of your training program, you need to make sure your LMS can deliver. If you’re looking to upgrade, a Moodle-based system is definitely something you should be looking at. Read on, and get to know more about the top Moodle-based systems in the industry. 150+ countries, 50,000+ registered websites and over 70 million users. That’s how popular Moodle is; and for good reason too! On account of the platform’s extraordinary flexibility, customizability and a plethora of plugins that extend its functionality, Moodle happens to be one of the most coveted LMSs out there. Its international community of developers and educators persistently put in collaborative efforts to improve and perfect the LMS. Now, I could go on and on about Moodle’s scalability, its outstanding functionality and its extensive repository of add-ons and extensions; but the argument boils down to the fact that Moodle has set standards for eLearning that the entire industry looks up to. Naturally, Moodle has managed to capture the interests of corporate trainers across the globe. When you’re sifting through various options, you’ll come across software that’s either ‘inspired from Moodle’ or ‘based on Moodle’. Moodle inspired software is usually built bearing all of the essential features offered by Moodle. While such systems may seem to be equipped with several state-of-the-art functionalities, they’re not directly associated with Moodle. Now, Moodle regularly releases a number of system updates and security patches; which you’ll miss out on, should you choose to go for a Moodle-inspired company training LMS. On the other hand, Moodle-based software is built on top of Moodle. In simple words, the software retains all of Moodle’s native features and then extends and modifies them further to ensure the LMS is suitable for corporating training. Totara Learn is an extremely popular open-source, SaaS-based Learning Management System that offers an on-premise as well as a cloud-based set-up. It gives you flexible authoring options, learner-focused catalogs, and mobile-friendly layouts. From creating multiple competency frameworks to setting up various training plans and learning objectives, Totara Learn helps you fine-tune all of the training activities within your organization. In addition to this, its diverse range of reporting options allows you to get a holistic view of these activities. Totara Social, their open-source enterprise social network, promotes employee participation and knowledge sharing via various collaborative platforms like blogs, groups and discussion forums. What we love most about Totara: Totara Social would undoubtedly be a great addition to your training processes! This cloud-based learning ecosystem takes the base functionalities and the interface of its underlying platform to a whole new level. eLucid’s User Interface beats all of its contemporaries by a long shot. Its powerful authoring tools, comprehensive analytics, and clean dashboards enable admins to sail smoothly through the process of content creation and management. In addition to eLucid’s compatibility with all things of Moodle, its seamless integration with tools like H5P for content authoring; Zoom, Webex or Skype for virtual classrooms, and Intelliboard or Zoola for any additional analytics, allows trainers to incorporate high-recall training methods like interactive learning, collaborative or social learning, and adaptive learning. eLucid provides great support and timely system upgrades with every new Moodle update. 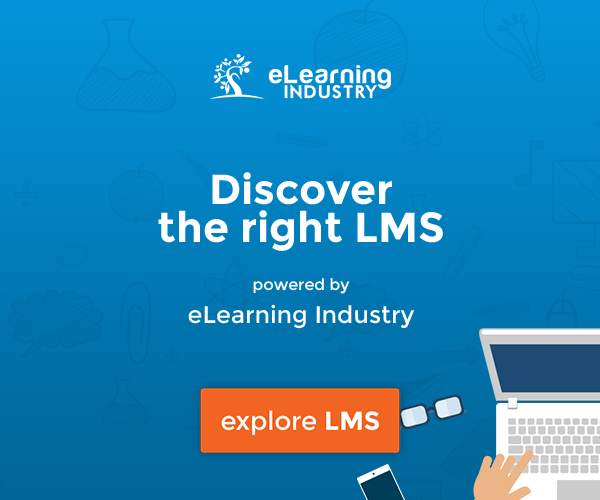 This learning ecosystem checks all the elements on the list of must-haves for a corporate training LMS, making it one of the top Moodle-based LMS offerings to choose from. What we love most about eLucid: It’s outstanding UX, for sure! Blackboard Open LMS, is also a SaaS-based platform that provides an extremely strong foundation for your corporate training program. 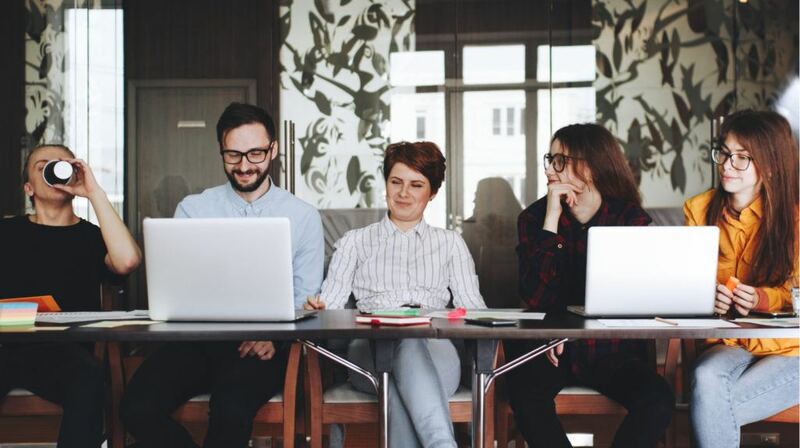 From incorporating self-paced or Instructor-Led Training to blended learning and competency-based training, this LMS helps you create a seamless experience for your employees across all devices and platforms. Its real-time predictive analytics could play an important role in helping you perk up your training strategies and have the system configured to make it your own. Furthermore, Blackboard Open LMS provides 24/7 expert support and consultancy. What we love most about Blackboard Open LMS: It’s predictive analytics system definitely gives some great insights! Training has assumed predominant importance in today’s fast-paced and cut-throat corporate world. And to get the most out of your training program, you need to make sure your corporate training LMS can deliver. If you’re looking to upgrade, a Moodle-based system will definitely match up to your expectations. Is your LMS lacking a much-needed feature? What are the typical challenges that you face when it comes to your training software? Let’s get talking in the comment section below!